Highly recommended if you are changing color. 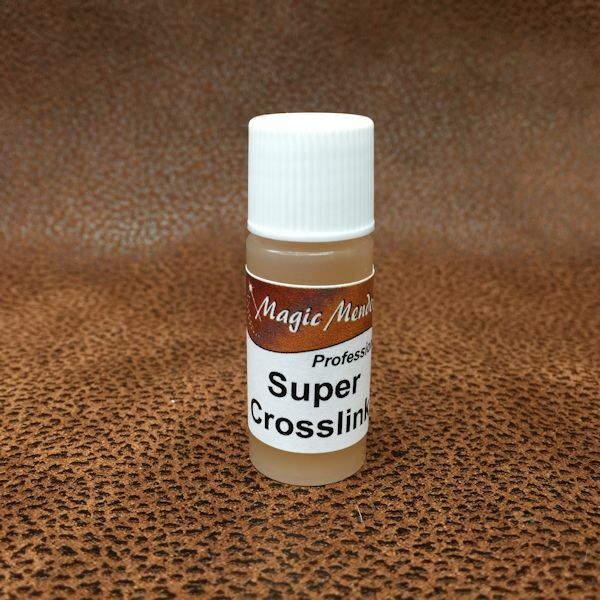 A super concentrated additive that dramatically improves adhesion to leather and vinyl colors. Improves drying time of coatings. Will not alter the color of Color Flex or the sheen of Clear Top Coat. Pre-measured: Add 1 bottle per 5.1 oz of Color Flex or Clear Top Coat. Add 1 bottle per 5.1 oz of Color Flex or Clear Top Coat. *Super Crosslink should be added only when you are ready to recolor. Lasts in Color Flex for 4 days then dissipates. Color Flex can still be used but the additional adhesion benefit will be lost unless you add another bottle.